I still can't find out whether there's any rule as to when one should use the definite article before Gàidhlig, Beurla &c and when one shouldn't, or whether it simply doesn't matter. This one still gets me as well. If you take it that all languages and countries in Gaelic are feminine then we should use the article when referring to them, however, at times, it does look and sound a bit daft. My theory is: If it sounds ok, then it probably is. You're thinking too specifically in terms of language, when you should be thinking in more general terms about how Gaelic works. The confusion here is very language-specific. In English, if there's only one of something, we don't need "the" -- we treat the "general" case as though it's a name: eg "happiness is a warm gun", not "*the happiness is a warm gun". This isn't possible in Gaelic because without "the", it implies "a". The sentence "suas le Gàidhlig" therefore would be "up with a Gaelic", not "up with Gaelic". So it has to be "Suas leis a' Ghàidhlig". In English, we think about language names as describing an abstract, so we use them without any article whatsoever, but in Gaelic, we see both the definite (suas leis a' Ghàidhlig) and the indefinite (tha Gàidhlig agam). Well, consider the difference between "I have butter" and "I have the butter" in English. "I have butter" says that I have some. It does not say that no-one else does. However when you say "I have the butter", it implies that there is only one butter dish, and you currently have it. It follows that saying "I have the Gaelic" would imply that only you have it, so you have to have "some Gaelic" or "a Gaelic" -- tha Gàidhlig agam. Okay, this explains why my TYG uses "A' Ghàidhlig an-diugh" and "Facail Beurla a thàinig on Ghàidhlig", but why do they say "Ag ionnsachadh Gàidhlig"? There's just one [Scottish] Gaelic we're learning, isn't there? Or does it refer to the fact that different people are at diferent stages of learning the language? Thrissel wrote: Okay, this explains why my TYG uses "A' Ghàidhlig an-diugh" and "Facail Beurla a thàinig on Ghàidhlig", but why do they say "Ag ionnsachadh Gàidhlig"? There's just one [Scottish] Gaelic we're learning, isn't there? Or does it refer to the fact that different people are at diferent stages of learning the language? 1) As the end-goal of "ionnsachadh" is to say "tha Gàidhlig agam", the indefinite form has been borrowed from that phrase into the phrase "tha mi ag ionnsachadh Gàidhlig". 2) Exceptions in language usually come from different languages. (EG Chunnaic, faic, chì: each of these comes from a different source word, in a different language -- only "faic" is derived from Common Gaelic.) It's possible that learners have borrowed the structure from English and that so many say it that way that it's stuck. The borrowing from English may not even be a learner error -- it may be a teacher error. The term "Madainn mhath" only exists in Gaelic today because tutors and phrasebooks give a hyperliteral tr*nsl*t**n for the English "Good morning", so it's quite possible that early learners' books made the same mistake and translated "I am learning Gaelic" in the same overliteral manner. Yesno. Proper nouns (e.g. Scotland, Moscow, Taichi...; as opposed to common nouns e.g. cat, dog, fish, table...) in most languages by definition are definite and do not require any markers for definitiness. The principle works along these lines: if you can say the word without the definite article and someone can then go and point at the specific thing you indicated, it's a proper noun. Else it's a common noun. If you say "table", people can't point at the specific item indicated because there's a millions of tables in the multiverse. On the other hand, if you say Mao Zedong or Scotland, everyone knows exactly who or what you are talking about. Notwithstanding, some languages allow or even demand the use of the article with proper nouns or names. In the south of Germany for example first names are always preceded by the article if the person is known to both. So if I personally knew Angela Merkl, I'd refer to her as "die Angela". Gaelic allows the use of the article with certain proper nouns, most prominently place-names and language names. 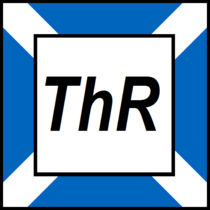 As far as I can ascertain, the use of the definite article is technically optional although practically, as Gaelic speakers prefer the use of the definite article when case-marking (even in statement that in English would demand an indefinite construction), the article is more likely to appear when the language or place-name is marked for case (genitive usually). For example, in tha Gearmailtis toinnte Gearmailtis is not case-marked and happily stands as Gearmailtis or a' Ghearmailtis. But if you wanted to say that the verbs of German are complicated, you are more likely to hear tha gnìomhairean na Gearmailtis toinnte that tha gnìomhairean Gearmailtis toinnte. Bhruidhinn mi ris sa Ghàidhlig. There are of course many counter examples as these are tendencies, not rules (except for na h-Alba and na h-Éireann). "A' Ghàidhlig an-diugh" and "Facail Beurla a thàinig on Ghàidhlig", but why do they say "Ag ionnsachadh Gàidhlig"
Odd, should be Facail Bheurla but hey... I suspect it's ag ionnsachadh Gàidhlig for a technical reason - space. akerbeltz wrote: Odd, should be Facail Bheurla but hey... I suspect it's ag ionnsachadh Gàidhlig for a technical reason - space. S**t, of course they say Bheurla, where were my eyes? Well, remember that Gàidhlig does not fall under those words which need an obligatory definite article, so ag ionnsachadh Gàidhlig is right, if perhaps a little less common than ag ionnsachadh na Gàidhlig. Error is always possible, I find the Dàmhair one amusing though... levelling at work. Someone must have forgotten not all nouns ending in -air contain the agentive suffive. Amusing, can you check if they have marked màthair as masculine also? akerbeltz wrote: Someone must have forgotten not all nouns ending in -air contain the agentive suffive. Amusing, can you check if they have marked màthair as masculine also? That may be the cause, though my suspicion was rather that somebody went "all the days of the week, seasons of the year and months are masculine", then remembered to correct Sep&Nov&Dec but somehow forgot about October.